Constantino de Miguel is the Founder and General Manager of Prime Group, which specializes in multilingual voice-overs, subtitling, and digital multimedia localization. With offices in France, Spain and Ecuador, Prime Group serves a wide variety of clients, including many major multinational companies. Originally from Spain, Constantino spent over two decades working in international broadcasting – including radio, television and the print media – before founding his own business, PrimeVoices, in the year 2000. Focused on high-quality voice-overs for audio and video content, PrimeVoices has a casting of over 1,000 voices in 45 languages, and operates from studios in Europe and Latin America. In 2016, Constantino launched his next venture, PrimeMultimedia. As part of the Prime Group, its mission is to streamline the process of localizing audio and video content through cost-effective and easy-to-use online tools. Its latest innovation, called AVM, is a tool developed specifically to improve video localization. 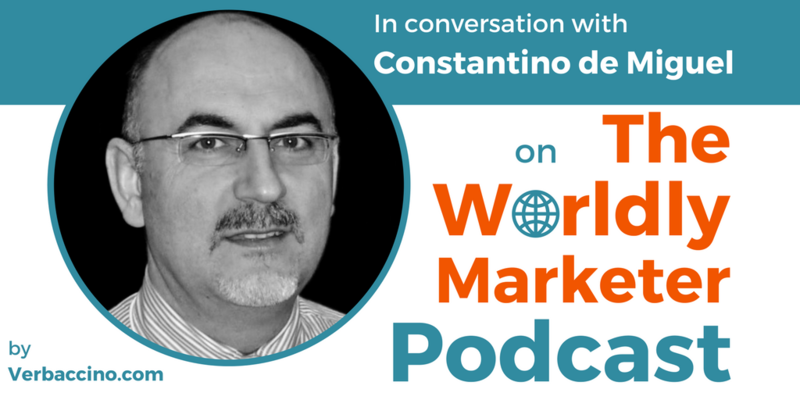 Besides managing his localization businesses, Constantino is also a media trainer and consultant. He coaches executives on how to interact with journalists in a more effective and media-savvy way, based on his many years of personal experience in the news broadcasting business.